NOTE: You will receive actual prices from the Martin technician after an inspection of your garage door or garage door opener. These prices are intended as a guideline only and may not include parts. Click HERE to schedule a service call today. Residential Diagnostic Fee (RDF) – $59 Flat Rate: This service includes the safety tests required by federal law including both the contact and non-contact reversing tests. If this is an electrically operated door, the pull-down rope is removed and locks are disabled. Door is labeled and safety warnings are updated. Door and operator are inspected and differences from manufacturer specifications are noted. Problems are diagnosed and your quote is prepared. 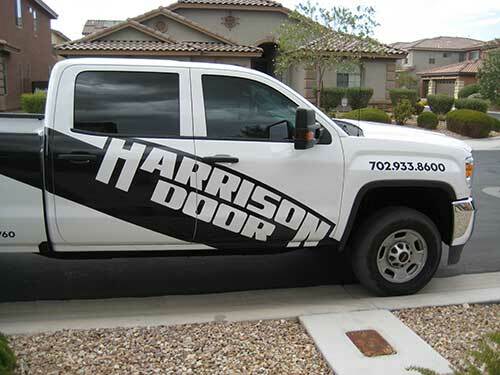 Your service call is included with this service and also a full safety inspection of your garage doors and garage door openers. Parts and repairs are not included in this price. For your convenience, Martin offers 24-hour service, but RDF cost may be higher after hours. Garage Door Standard Preventative Maintenance (SPM) – $99 Flat Rate: This includes the RDF above, plus minor code compliance adjustments such as moving photo eyes to 4-6″ above floor, moving emergency disconnect handle to at least 72″ above floor, and moving your wall button higher than 60″. All moving parts are lubricated and checked for tightness including hinges, rollers, spring bearings (if accessible), side bearings, tracks, springs, cable pivots, roller tubes / pivots, operator rail, operator trolley, operator gears (if accessible), motor (if accessible), operator arm pivots, and jambs (if appropriate). Garage Door Full Preventative Maintenance (FPM) – $149 Flat Rate This service includes the RDF and SPM above, plus minor adjustments to springs, struts, tracks, hinges, brackets, locks, operator, and sensors. It also includes replacement of remote batteries. Vault Garage Break In – $59 to $299 or more: Did you lock yourself out of the garage? 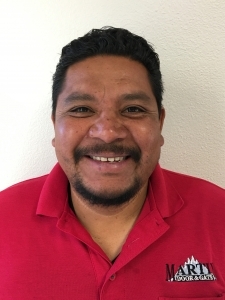 Some garages do not have a window or any other entry door, so if the power goes off or your remote quits working you may need to hire Martin to break into your garage! The cost depends on what is involved. If a minor service to your remote or keypad repairs the problem, the cost will be low. If the door must be entered through an abnormal entry (which may damage your door), there may be extra labor and parts. Installation of your Garage Door Operator – $135 to $200: This service includes the RDF and operator Installation labor of up to 8′ high garage door operators, motors, rail and accessories. Includes up to 8′ punched angle. Does not include any wire or surge protector. Installation of Standard Garage Door – $175 to $599 or more: This service includes the RDF and door installation up to an 8’ high garage door and all hardware. Includes up to 8’ of punched angle. Does not include installation of the garage door operator or any wiring. Pricing depends on the width, height, type and weight of the garage door. Copper garage doors, aluminum garage doors and glass garage doors have higher rates. Preparation of opening is not included. Programming Garage Door Remotes at Your Home or Place of Business – $59 Flat Rate does not include parts. This includes most garage door opener remotes, Home Link car remotes, Car2U car remotes. Programming Garage Door Opener Keypads at your Home or Place of Business – $59 Flat Rate. This includes most garage door opener remotes. Does not include parts. Programming and Installing Garage Door Wall Buttons at your Home or Place of Business – $129 Flat Rate including most types of wall buttons, wire, labor and parts. Remote and Keypad Batteries (Parts Only) – FREE with Club Membership or $5 – $8 without membership. Replace Garage Door Opener Remote and Keypad Batteries at Your Home or Place of Business – $59 Flat Rate including most types of batteries. Long Distance Garage Door Radio Remote Controls – $199 – $299 including 2 remotes, an external receiver, antenna and labor. Replacing Garage Door Hinge – $24 – $39 including parts and labor for most types of hinges. Replacing Up to 10 Garage Door Hinges – $99 – $149 including parts and labor for most types of hinges. Replacing Garage Door Roller – $24 – $39 including parts and labor for most types of rollers. Replacing Up to 10 Garage Door Rollers – $99 – $149 including parts and labor for most types of rollers. Replacing Garage Door Opener Drive Gear – $185 – $279 including parts and labor for most brands. Replacing Garage Door Opener Header Bracket – $99 – $149 including parts and labor for most brands. Replacing Garage Door Operator J-Arm – $59 – $99 including parts and labor for most brands. Replace or Repair Garage Door Operator Trolley / Carriage – $55 – $129 includes parts / labor most brands. Repair or Replace Broken Garage Door Spring – $179 – $350 including parts & labor, most residential doors. Replace Broken Garage Door Cable – $79 – $179 including cables on both sides of doors to 8’ high. Repair Garage Door Sensors – $59 – $125 if they can be repaired. Replacing Garage Door Opener Sensors / Photo Eyes – $125 – $179 including parts / labor for most brands. Replace Damaged Garage Door Track – $185 – $205 including parts and labor for most brands and sizes. Repair Dented Garage Door (minor) – $56 – $78 no parts included, no warranty. Repair Damaged or Bent Garage Door Section/Panel: $109 – $199 includes one strut and labor. Replace Damaged Garage Door Section – $225 – $575 including parts and labor for most brands and sizes. Insulate your Garage Door – $425 – $650 including parts and labor for most residential garage doors. NOTE: Prices include removal of old door, hauling away, installation of new door and labor. Please understand that there are many low cost garage doors and many custom types that are more expensive. Windows, insulation, and other options will increase the price. There is a wide range of prices. Click HERE for a FREE no-obligation estimate at your home or place of business. Single Car Garage Door – $499 – $10,000 or more depending on brand, type and options. NOTE: This page uses average prices for the Las Vegas, Nevada area and is for certified technicians. Please do not use this page as a price list. There is no guarantee that these prices are accurate. © 2019 Martin Garage Doors of Nevada. All Rights Reserved. 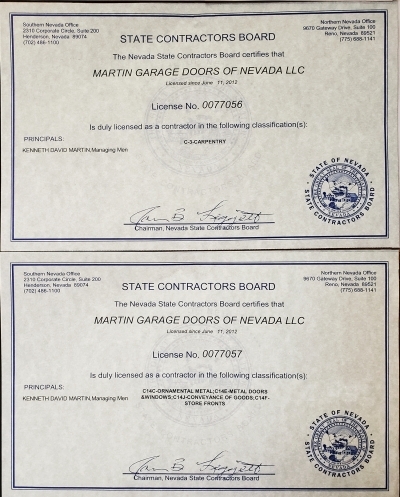 Martin Garage Door Vehicles are Completely Stocked with Parts: Other companies may or may not have the parts your job needs on their truck. This is another tactic companies use to raise your price. If the part is on the truck, a second trip to your location will be avoided, which saves you money.